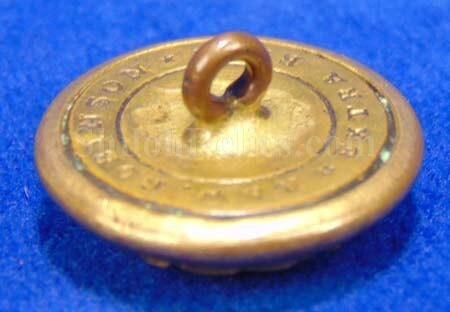 This is one beautiful 23mm coat button! It is the version that is listed as MS88 in Albert’s button book and as MS246a1 in Tice’s book. It is an militia infantry button for the state of Massachusetts. 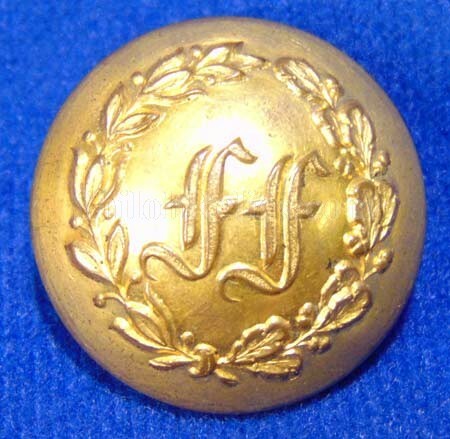 Around the edge of the button it has the wreath and in the center with the large letters "ff” for the Fitchburg Fusileers. Tice’s book states that the Fitchburg Fusileers were originally known as the "Old Company" of Fitchburg. They were formed on December 14, 1816 and became company be of the old 9th Massachusetts Militia Regiment. During the Civil War they were reorganized as company B of the 15th Regiment Massachusetts Volunteers who are also known as the Worcester County Regiment. The company served from 1861 until 1864 and Tice notes that the majority of the original volunteers died during the war. 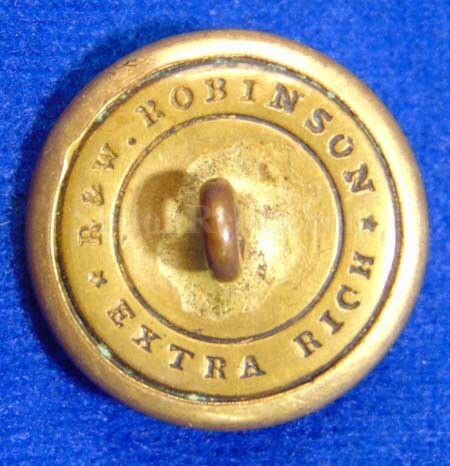 The reverse of the button has the clear Attleboro, Massachusetts makers Mark of the firm of the R&W Robinson Company. This one is in beautiful non-excavated condition and has the original back and shank intact. It displays superbly.